Say goodbye to sore and aching eyes after reading your favourite novel. With built in Eye Care, the Sansai 6W LED Desk Lamp with Clip On Option looks after your eyes. 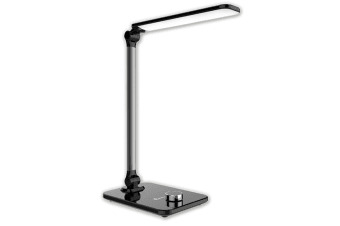 The advanced adjustability settings helps you to block out damaging light hurting your eyes and allows you to enjoy your reading for longer. With your relaxation time in mind, the trio of mode options, adjustable brightness and 180degC of rotation provide the most ideal reading environment suited to your personal preferences. Utilising the power and performance of 60 LED lights provides a stronger, brighter light than conventional globes. 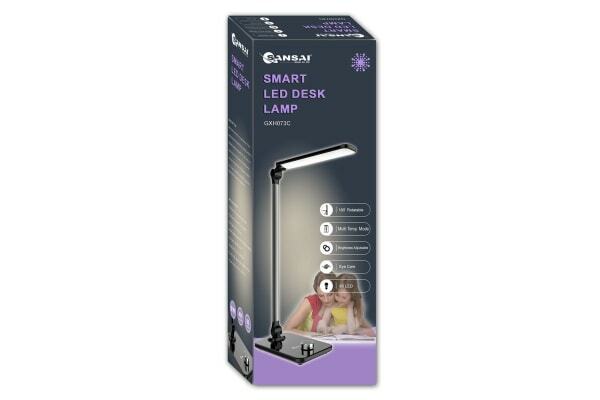 Given the much longer lifespan and far lower energy consumption when compared to traditional forms of lighting – the Sansai 8W LED Desk Lamp with Brightness Control is ideal for both the environment and your wallet.